There's a new style of fusion restaurant in Brisbane that's nothing like anything you've ever tried before! 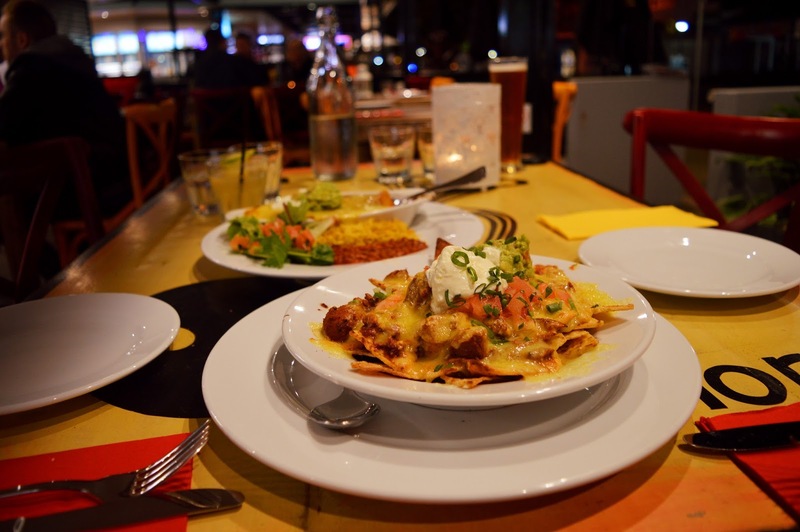 We're talking cross continental fusion..IndiMex Restaurant opened a few weeks ago in Greenslopes and it already has people talking. The head chef/owner is Chef GJ. You may recognize the name. He also owns a popular restaurant in Caloundra called Indiyum. So how did he come up with the idea for this unique fusion restaurant? 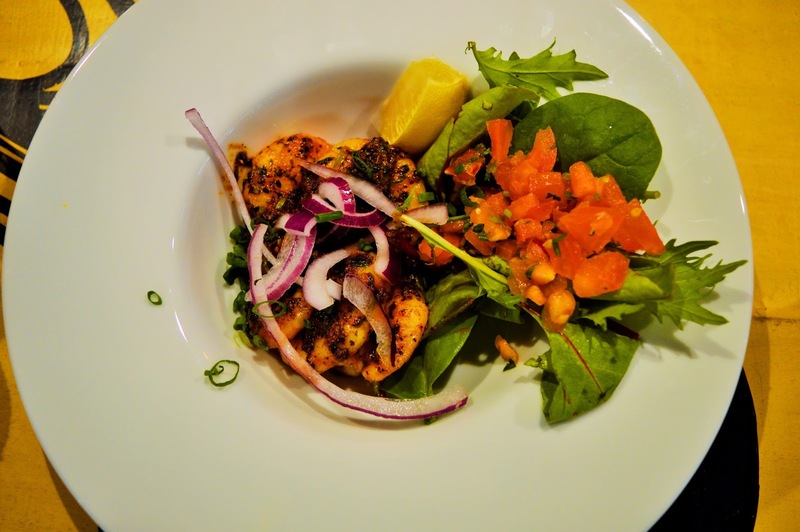 Well, Chef GJ specializes in both Indian and Mexican cuisine having previously worked an Indian restaurant whilst he lived in India and a Mexican restaurant in Japan. From his experiences he learned that Indian and Mexican food had a lot of similarities. A lot of the spices they used in cooking were very similar to one another. This is when he had a stroke of genius! What if he could combine these two cuisines into one? 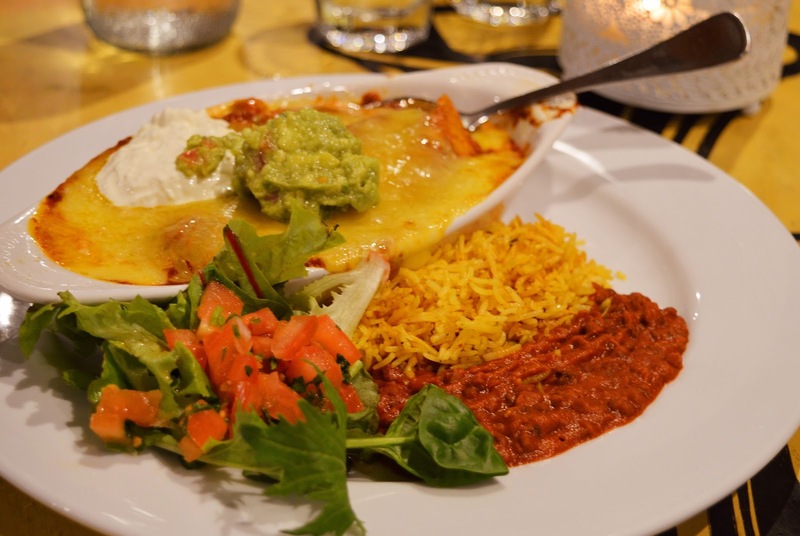 Chef GJ describes IndiMex as Indian food with a funky Mexican twist. He wants potential customers to know IndiMex is an Indian restaurant. The only difference is that the food is presented in a traditional Mexican style. For example, burritos are Mexican. However, the burritos at IndiMex are filled with things like lamb rogan josh or instead of a side of Mexican rice you get biryani rice! The restaurant itself has a very stylish, funky, modern design with an open kitchen plan. The atmosphere is very colorful, and lively. You can choose to eat from the fusion menu at IndiMex or the traditional Indian menu which has a large variety of delicious curries. We wanted to get the full IndiMex experience so on Friday night we went to dinner at Indimex and sampled the fusion menu. 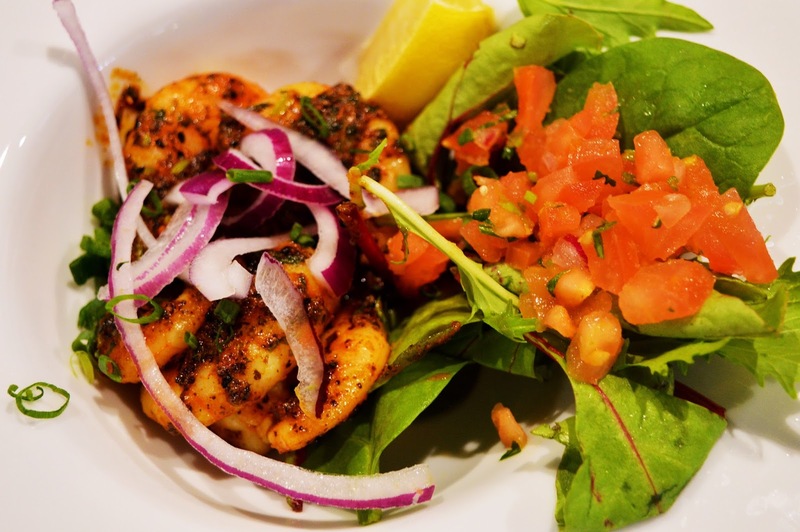 These prawns were mouthwatering! I really enjoyed their spicy, smoky flavour. This dish was seasoned to perfection. This is a MUST TRY. The serving sizes at IndiMex are massive! 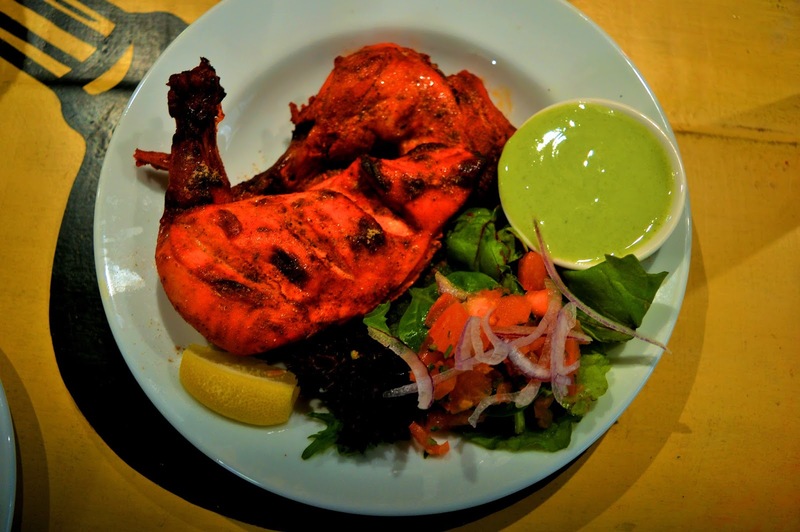 After we received the half serve of Tandoori chicken we were stunned. I would love to know what a full serve looks like! You definitely get your money's worth at this new restaurant. 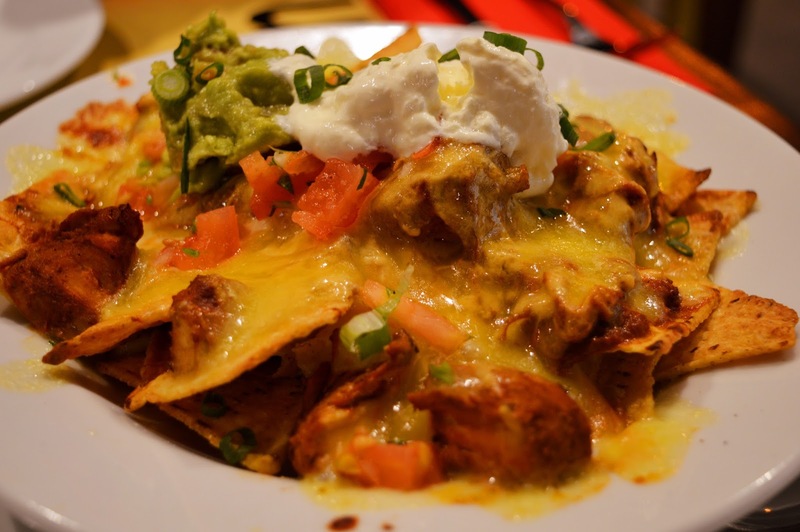 I can honestly say I have never had curried chicken nachos. They were amazing! They are packed full of flavours! Crunchy tortilla chips, juicy chunks of seasoned chicken, and creamy guac- divine. Darrell's favourite of the night was definitely the seafood enchilada. This super cheesy enchilada was bursting with fresh seafood. The Biryani rice and black lentils were the perfect side dish to a very filling meal. We loved our first IndiMex experience and will definitely be back to see what other interesting creations Chef GJ comes up with. IndiMex is open for breakfast, lunch and dinner! Go try it for yourself ! *AmeriAus was the guest of IndiMex. All opinions expressed are our own.